For the October 27th installment of the HPR Movie Club, the selection for discussion is ANGELS AND DEMONS. Why? 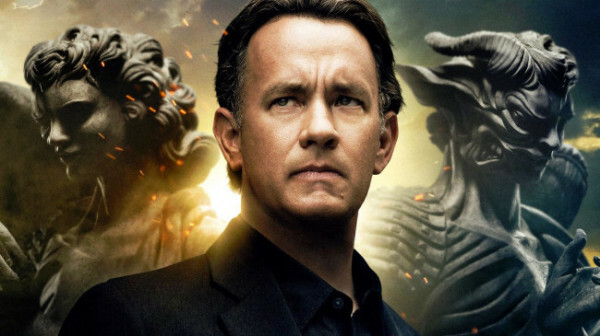 Because October 28th brings about the release of yet another film featuring Tom Hanks as Robert Langdon under the directorial guidance of Ron Howard. In terms of the Dan Brown novel source material, ANGELS AND DEMONS is my favorite of his books. So how does ANGELS AND DEMONS stack up for you? What do you think of the Langdon character in terms of a detective / riddle-solver? Those topics, and whatever direction you want to take the discussion, are encouraged! Check out the Official Facebook thread to add to the discussion! Don’t forget to update your HPR resume by adding your rating for ANGELS AND DEMONS, including a link to a review if you write one!